I have never really wanted a motorcycle of my own, only to date the men riding them. But if I did, I would create one of these motorcycle bouquets, just like this crafty bride named Janna. 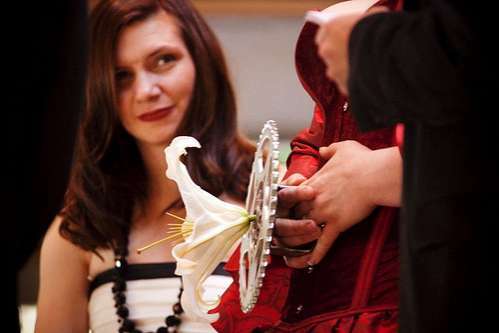 Taking the sprocket from her beloved motorcycle, getting a welder to adhere a metal handle on it and finally adding a large flower to it, Janna created this motorcycle bouquet. Nothing says badass motorcycle bride quite like getting a motorcycle bouquet made for your special day.